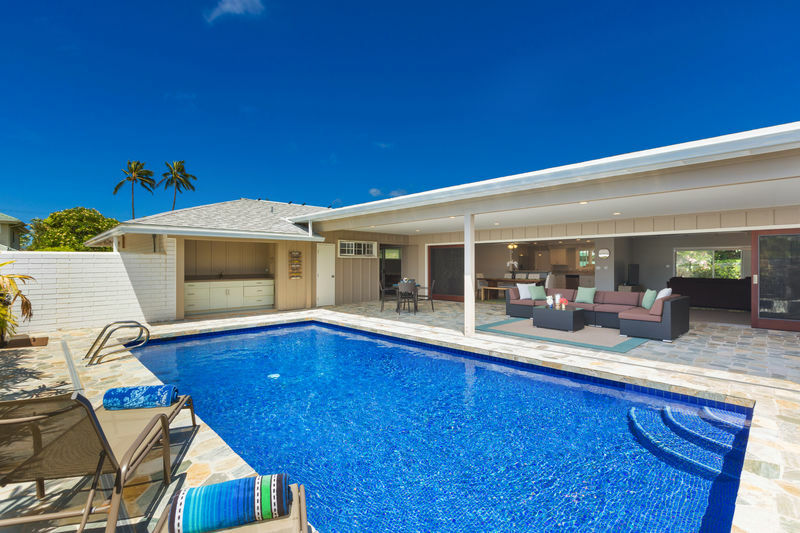 Kahala Sea Mist – Luxury Vacation Homes, Inc. 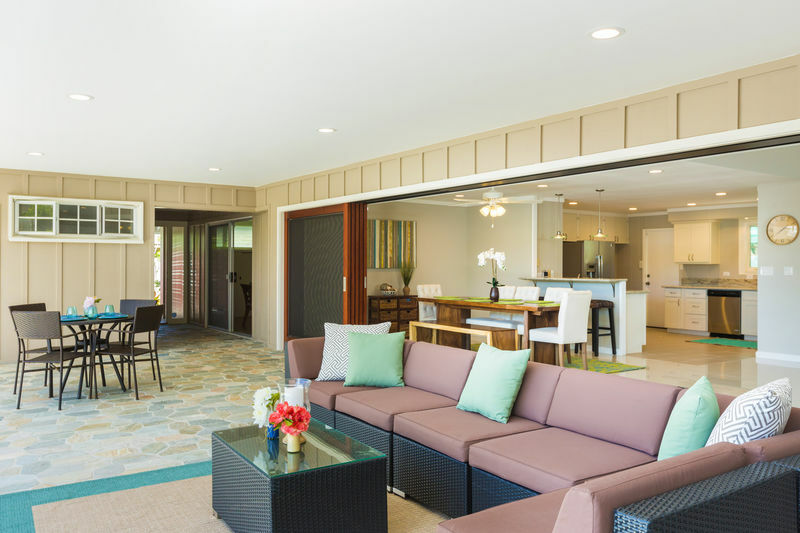 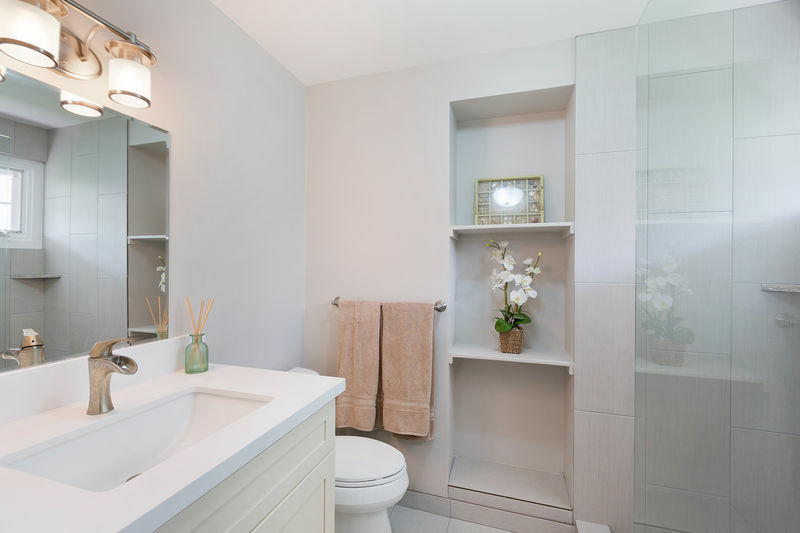 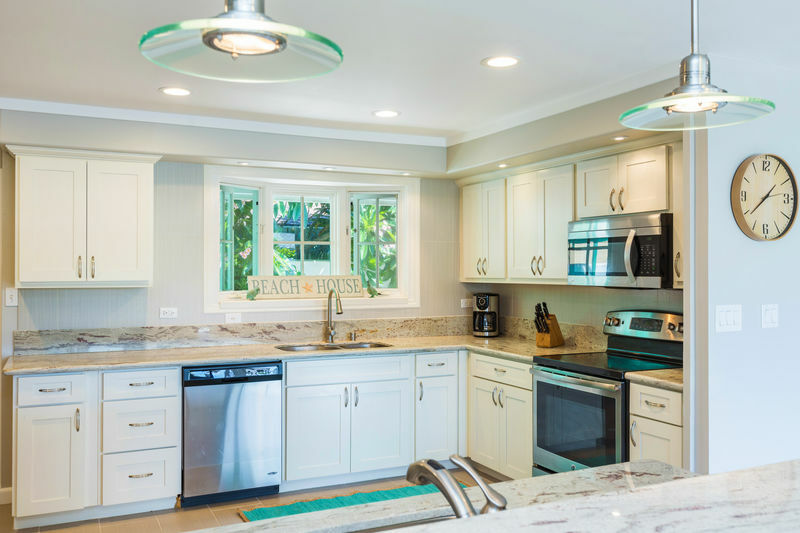 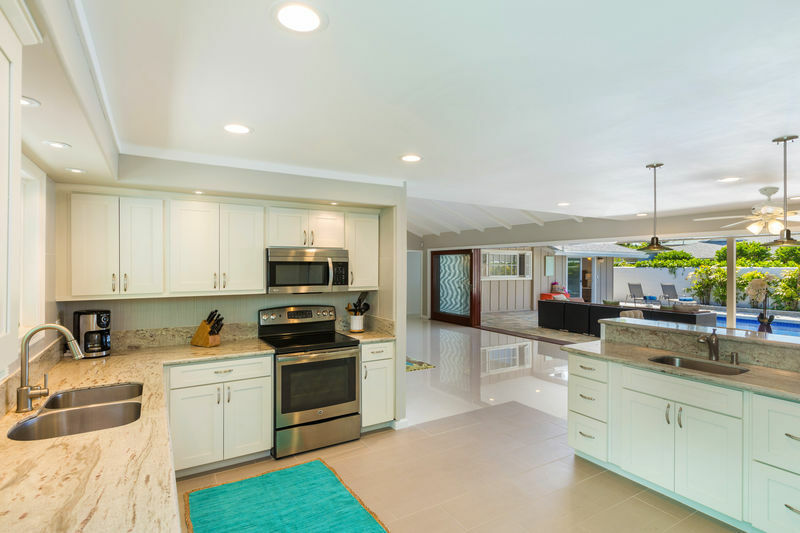 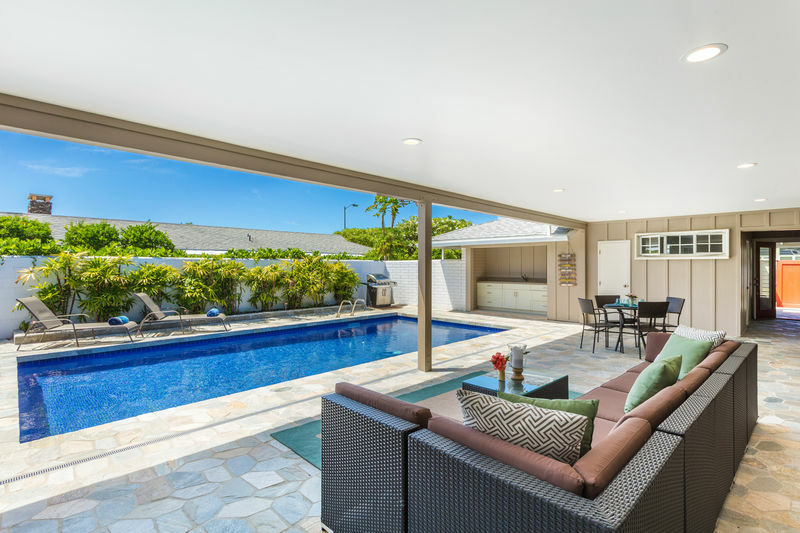 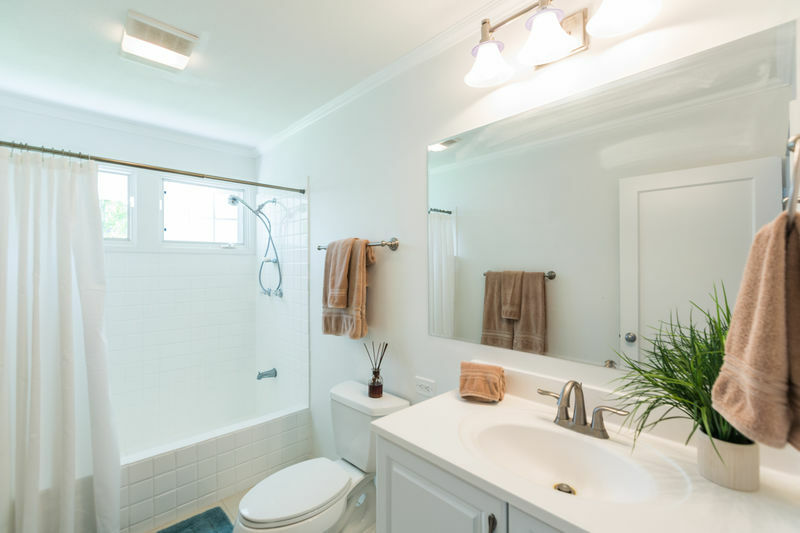 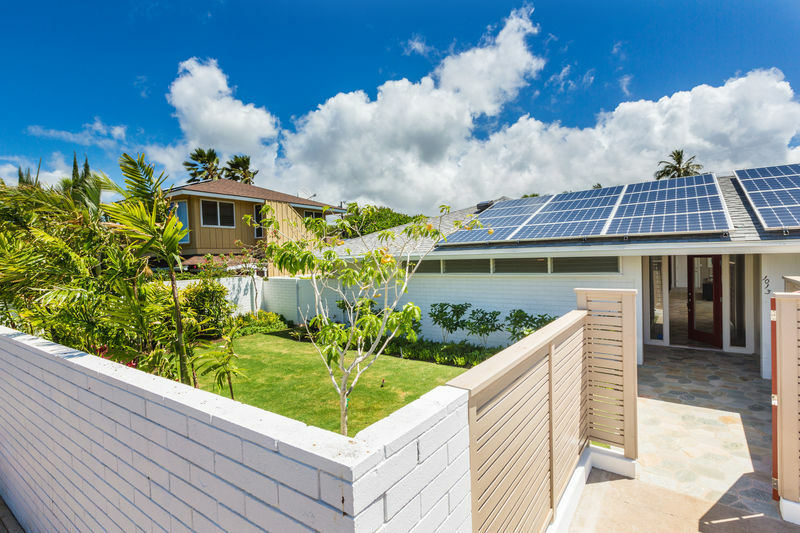 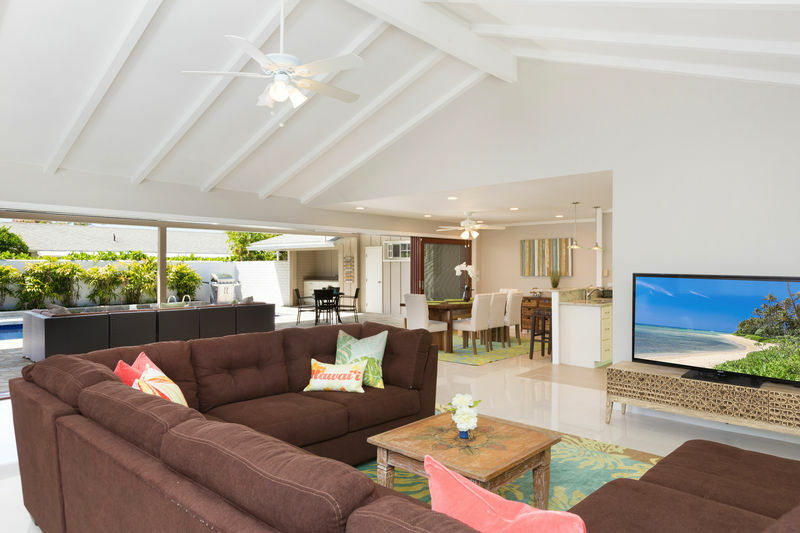 This recently remodeled Kahala house has all the comforts of home and is spacious enough for a large family! 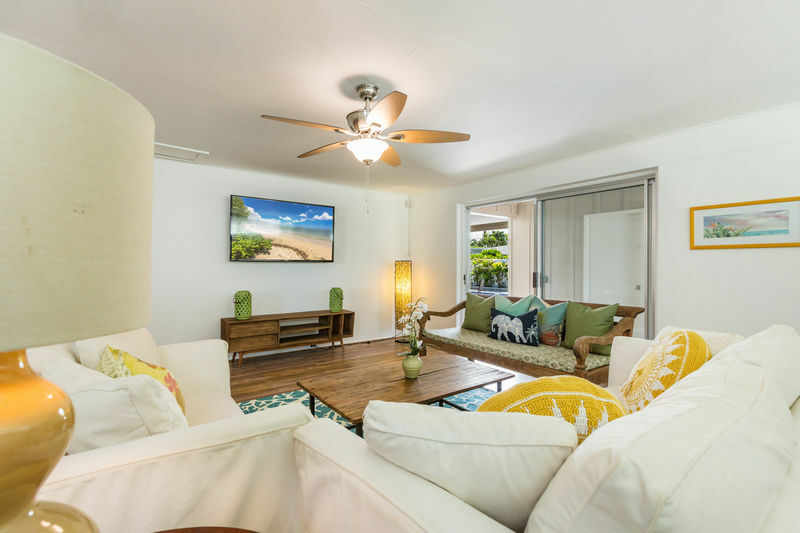 Complete with split AC units, a fully stocked granite kitchen with a dishwasher, two living areas with large flat screen TVs, a large outdoor lanai, BBQ, pool, WIFI, washer/dryer, and a home security system. 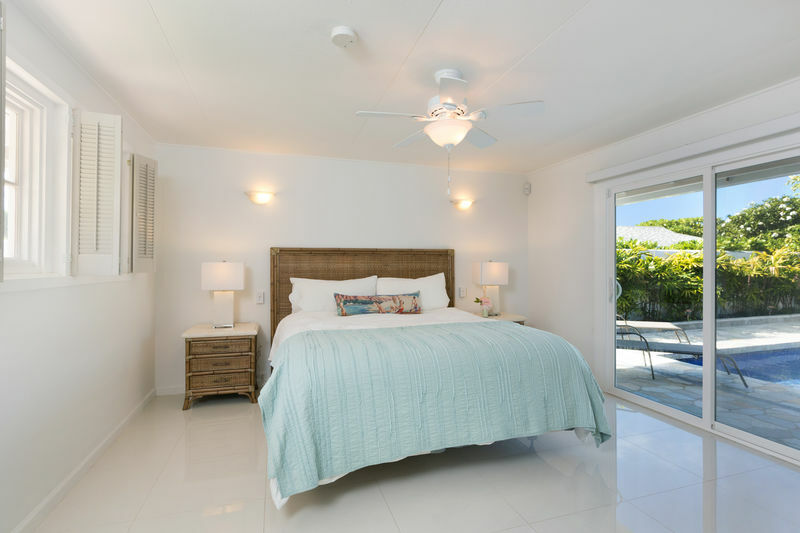 The master bedroom complete with an en suite bathroom, split AC unit, flat screen TV and a King sized bed opens up to the pool area. 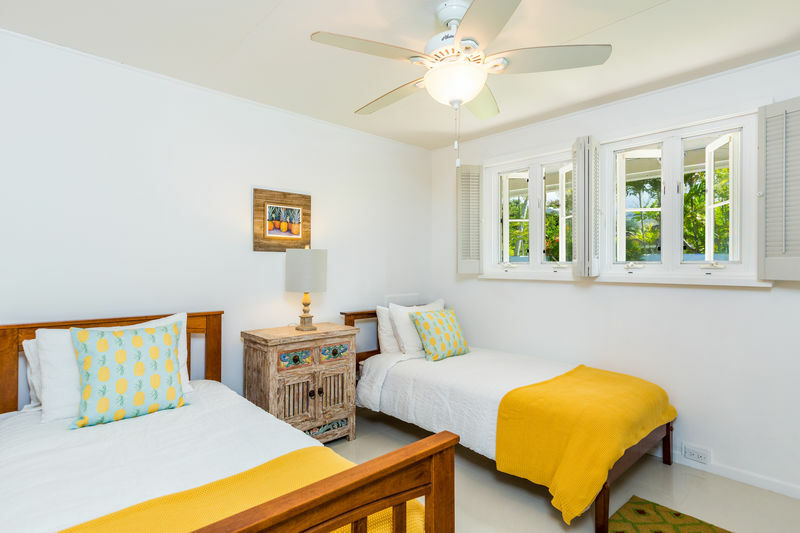 The second and third guest bedrooms both complete with AC are just down the hall and share a full bathroom with tub and shower. 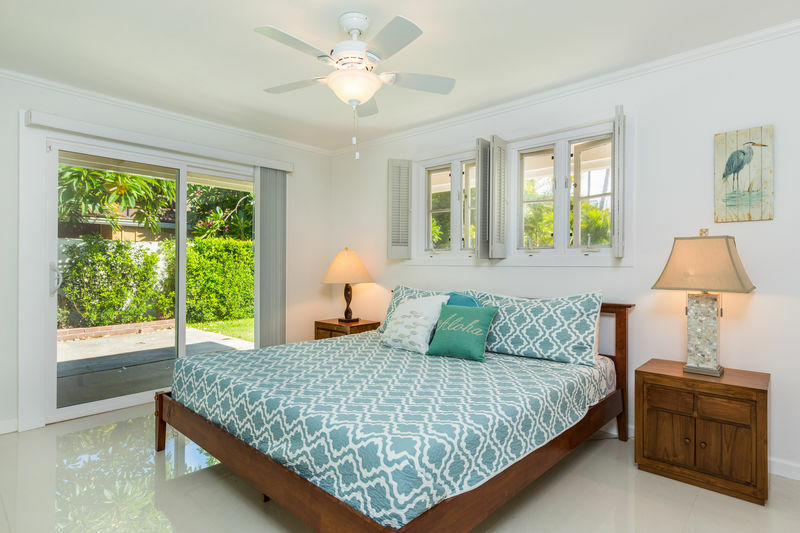 The last guest bedroom is somewhat separated from the rest of the bedrooms, has an en suite bathroom, and queen sized bed it is located just off of the media room. 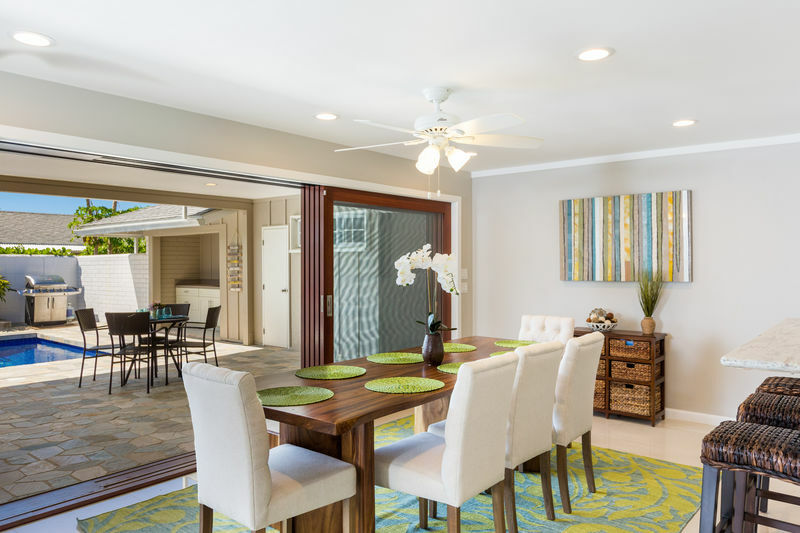 The large pocket doors open the living and dining room up to the large flagstone topped covered lanai where you can relax on the outdoor sofas, lounge chairs or enjoy your coffee at the breakfast table. 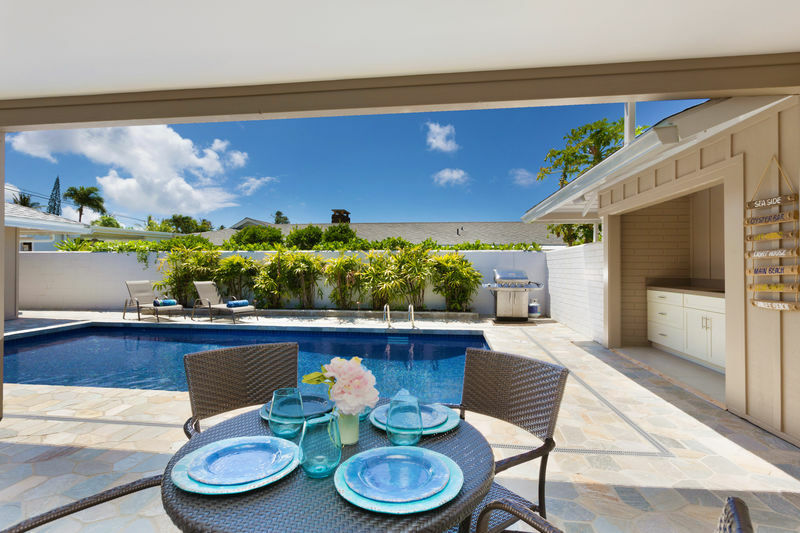 The large grassy backyard has plenty of room for kids to play and run, and the lush front yard is beautifully landscaped with tropical plants. 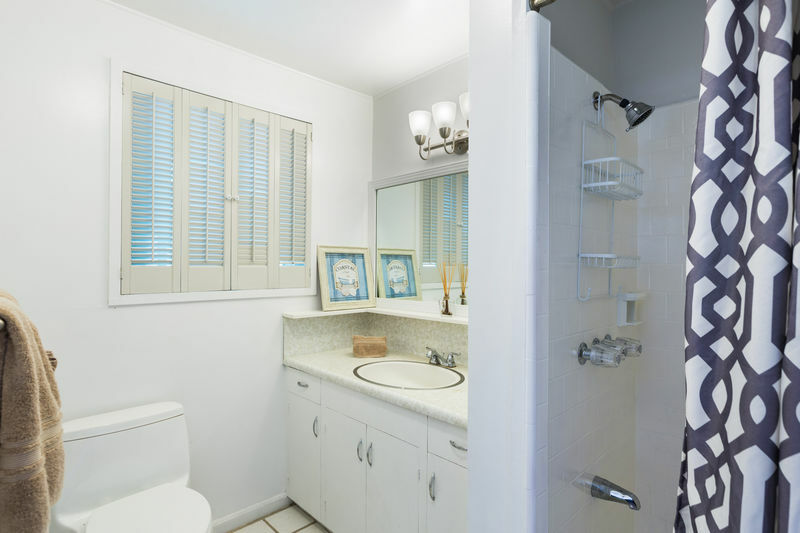 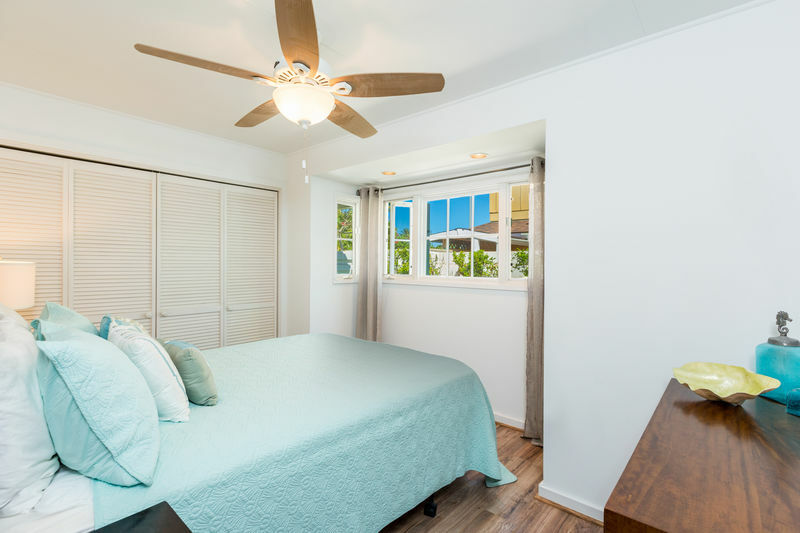 This house is just minutes to Waikiki, Honolulu Zoo, Waikiki Aquarium, Kapiolani Park, Tennis Courts, Ala Moana Center, Kahala Mall, Outrigger Canoe Club and so much more. 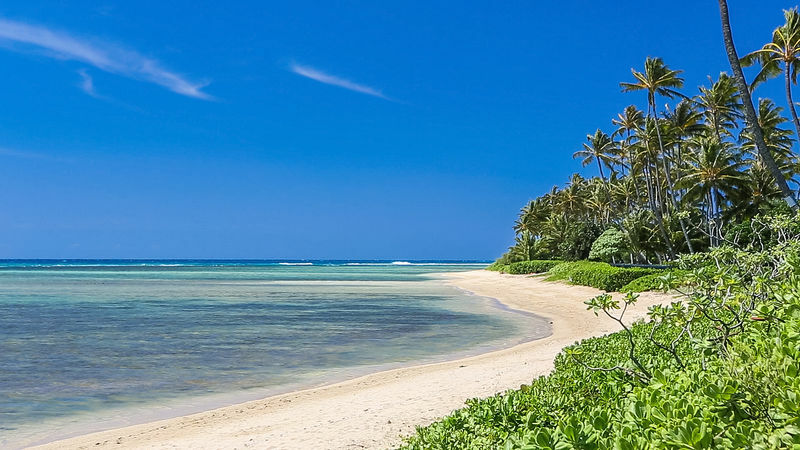 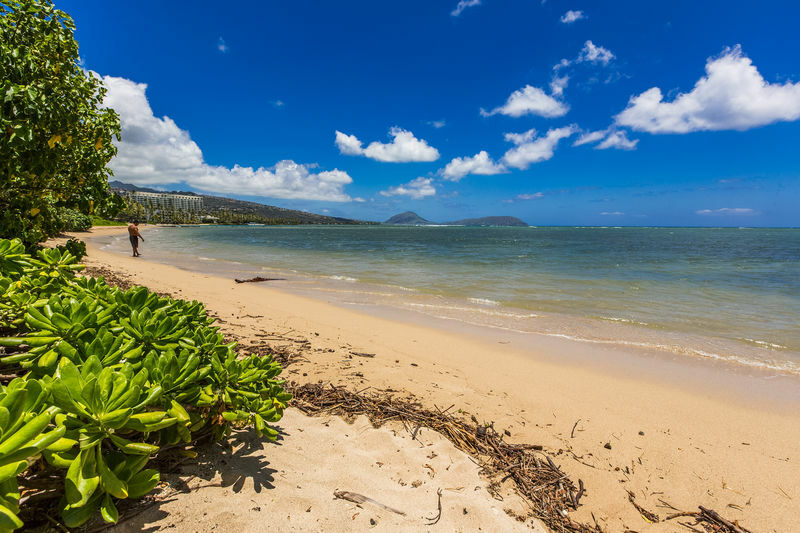 Just a short walk will bring you to the warm sandy shores of the exclusive Kahala beach!